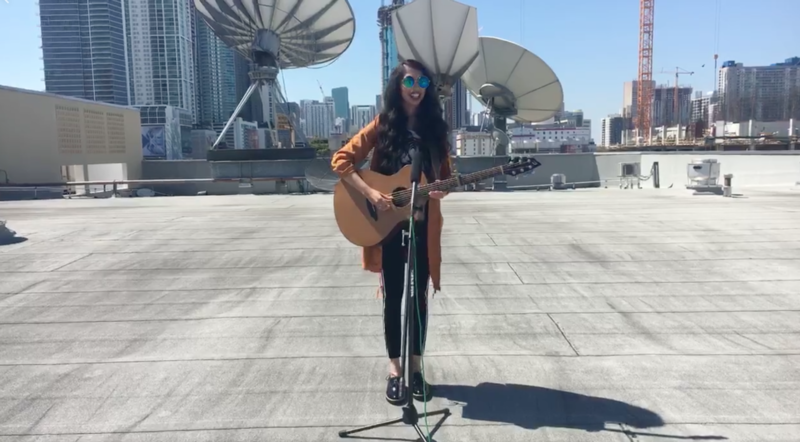 Recording Artist Sonali performing on the WLRN roof during a Facebook Live. Danielle Bender is the 2017 Miami Foundation Public Space Challenge winner. She wanted to address the dwindling honey bee population, and proposed placing hives in public locations. She has now installed honey bee hives in three locations across Miami. Bender, who was once afraid of bees, aims to educate the public on the importance of bees to the environment. Her organization, Public Hives, offers workshops on beekeeping; participants can sign up on the website. Singer and songwriter Sonali Argade is a Marjory Stoneman Douglas alum and Parkland native. She will be performing ahead of Pitbull at the upcoming SunFest in West Palm Beach. In a previously recorded conversation she discussed growing up in Parkland, music and her Lyme Disease diagnosis. After the interview she performed on the roof of WLRN via Facebook Live (you can see her performance below). May is Haitian Heritage Month, and a number of events will celebrate Haitian culture throughout Miami. The Little Haiti Book Festival will feature authors from Haiti and the Haitian diaspora. Author Michele-Jessica Fievre is among the organizers. She read a passage from one of her books and spoke about her experience as a Haitian immigrant. Anesthesiologist and pain management specialist Dr. Dennis Patin speaks on alternative ways to treat patients suffering from pain that does not involve prescribing opioid medication, Danielle Bender the 2017 Miami Foundation Public Space Challenge winner discusses her idea of placing bee hives in public places, Marjory Stoneman Douglas alum and recording artist Sonali shares her life story and hopes for the future, taking a look into Haitian Heritage Month with author Michele-Jessica Fievre.